There are some people lucky enough to swim with dolphins – and then there are even luckier people who get to swim next to a nuclear submarine in the open ocean. 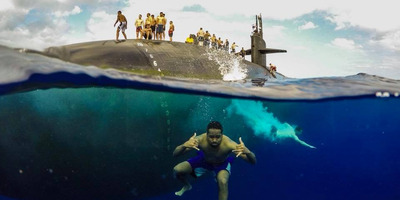 That’s exactly what the crew of the USS Olympia recently did. 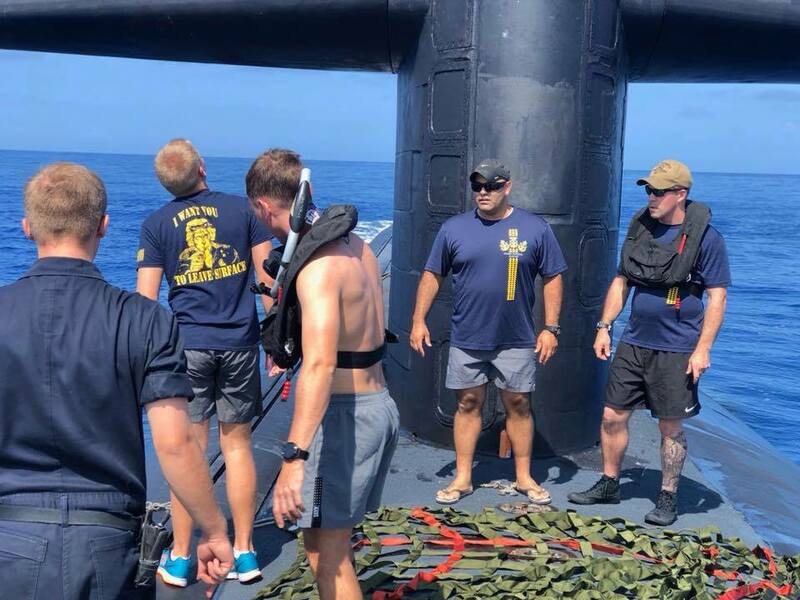 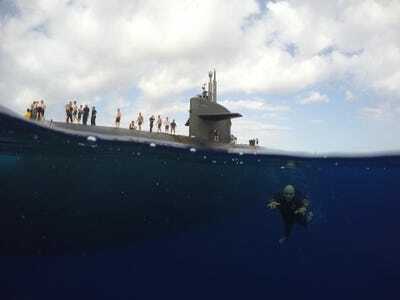 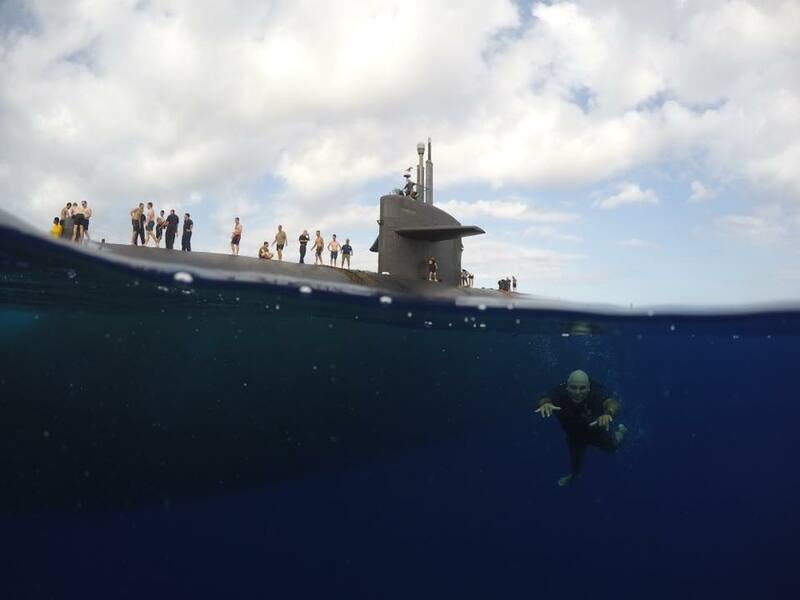 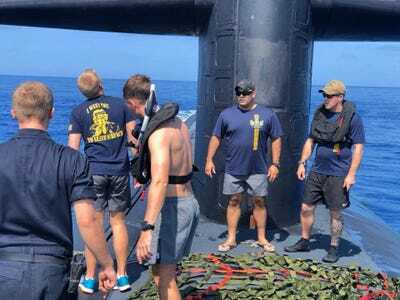 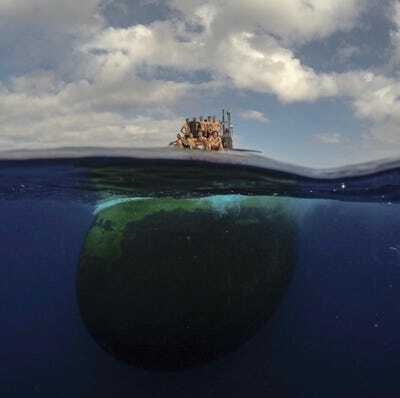 After partaking in the world’s largest naval warfare exercise called Rim of the Pacific, or RIMPAC, where they helped sink the USS Racine with a Harpoon anti-ship cruise missile, the submariners aboard the Olympia got a chance to cool off in the ocean next to their sub. 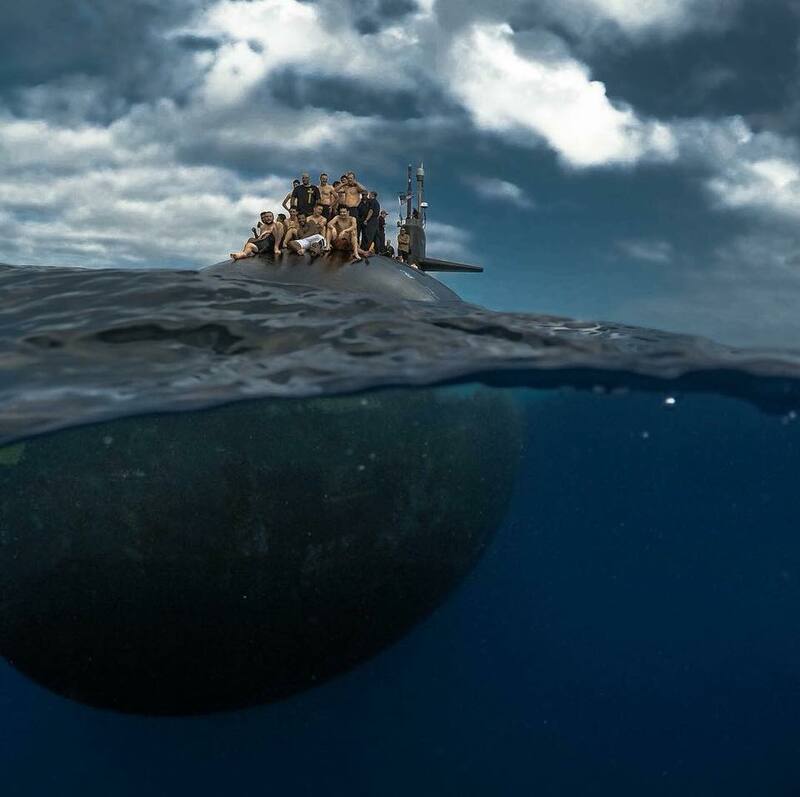 The stunning photos were first noticed by The War Zone’s Tyler Rogoway. 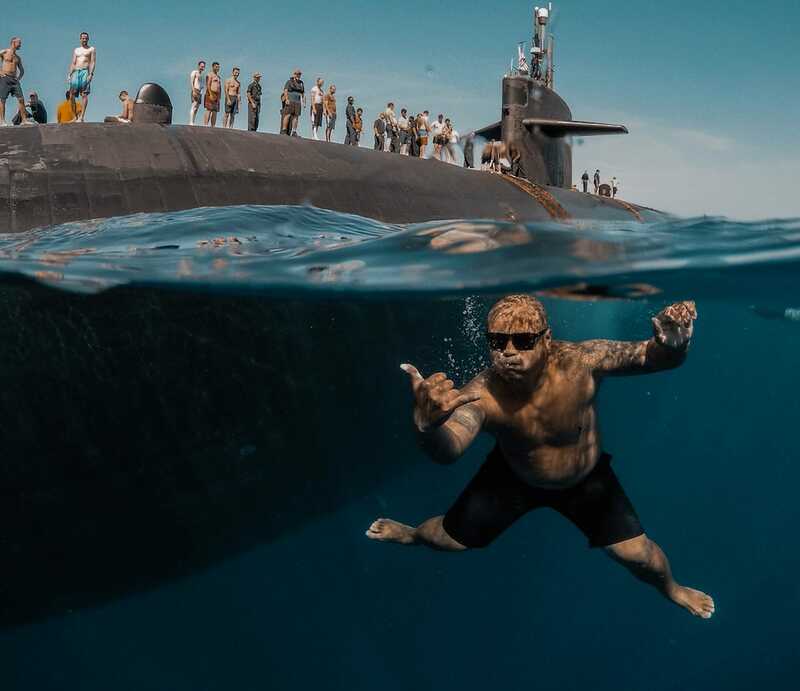 A submariner serving on the Olympia swims toward the camera. 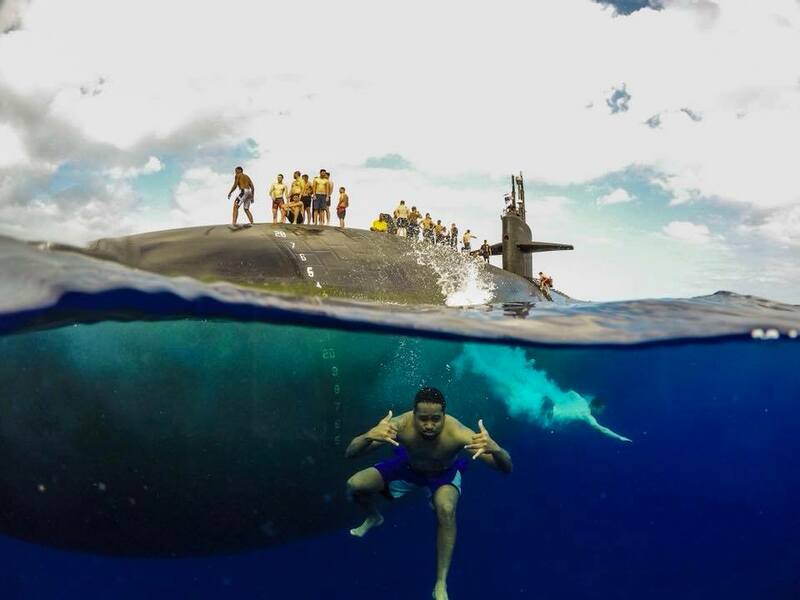 Sailors tread in the ocean next to their submarine, an attack boat based out of Pearl Harbour, Hawaii. A sailor serving on the Olympia gives a shaka sign, a gesture from Hawaiian surf culture, to the camera. 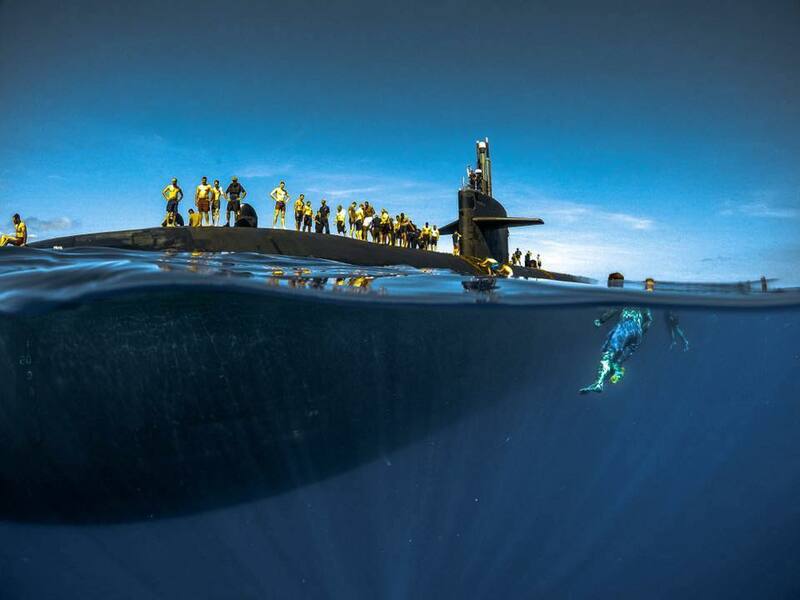 Here the sailors pose atop the Olympia. And here’s another one with the whole bow framed up. 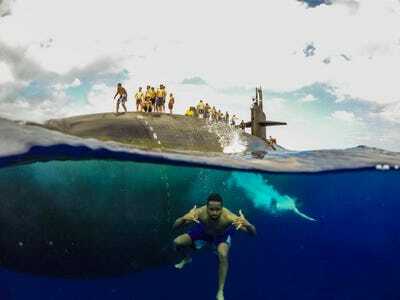 And we’re guessing the Navy photographer was a bit tired after they called it a day.